Planning Permission has been granted for 32 new affordable housing units at Howdenburn in Jedburgh, Scottish Borders. 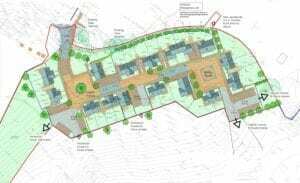 The development is to be built by M&J Ballantyne of Kelso for Eildon Housing Association. Construction is due to start in the Summer.